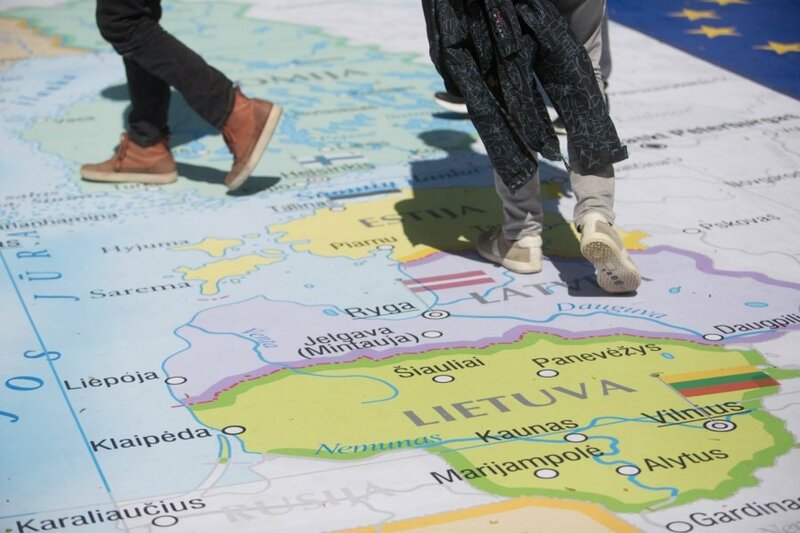 Lithuania has recently commemorated 25 years of freedom. A member of multiple international organisations and by all accounts a success, the country still suffers from emigration. One factor that, according to surveys, would make most expatriates (60 percent of those surveyed, to be exact) consider coming back home would be economic changes. More respect and tolerance towards others would bring back 56 percent of the respondents. The data was gathered from a survey commissioned by the Ministry of Foreign Affairs and carried out by Vilmorus. 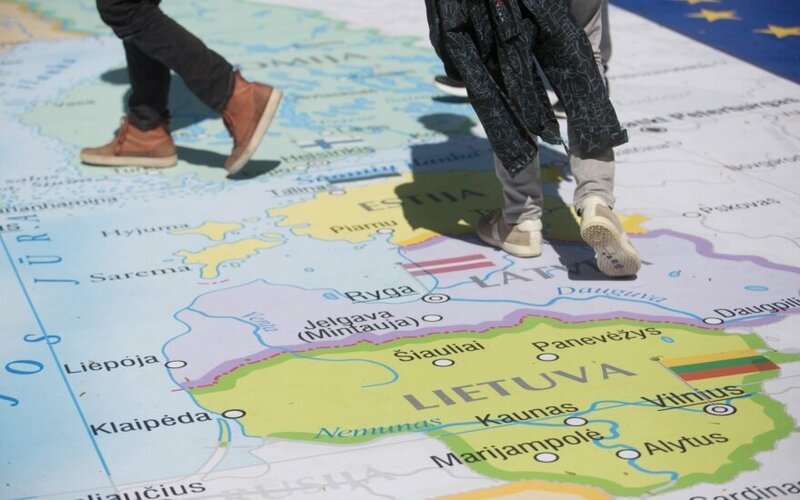 About a month ago, five political parties in Lithuania signed an agreement committing to the goal of cutting the rate of emigration from 18 percent to 9 by 2020. To accomplish this goal, the politicians will draft a long-term national programme. 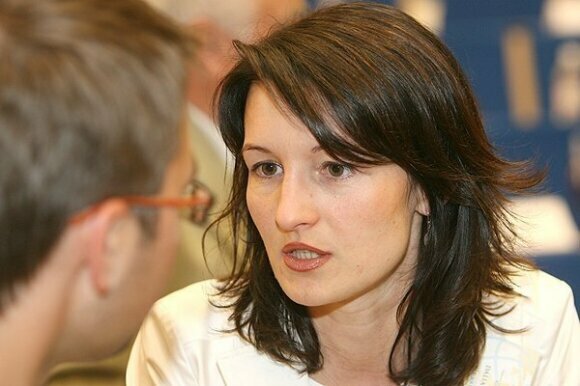 The newly-elected chairwoman of the World Lithuanian Community (PLB), Dalia Henke, talks about emigration and efforts to reverse it with the LRT show 'Savaitė'. At the moment, 30 percent of expatriates have no plans of coming back to Lithuania, which is a reason to start worrying. In a global world, is it normal to have so many nationals live abroad, as long as they do well in another country and preserve their ties to the homeland? I absolutely agree with you. In a global world, Lithuania is global and Lithuanians are global, too. The problem is not that 30 percent of emigrants aren’t planning on coming back. The most important things are what they do abroad and how they keep in touch with Lithuania. The biggest task and challenge for the World Lithuanian Community is to find a way how to rally Lithuanians, build communities and together be of service to Lithuania. Are there a lot of people who choose not to keep in touch with Lithuania? Yes, of course. It’s their right to do so, but sometimes their choices change. For example, young people who have done their studies abroad don’t want to associate with Lithuanians. They do, however want to associate themselves with Lithuania and preserve their Lithuanian identity when they have children. They say that they want their child to go to Sunday school, and why not? We also only find out about the February 16th celebrations [the date when Lithuania declared itself an independent state] abroad. It’s a famous holiday in Lithuania, but it is also intensively celebrated in foreign countries. For example, in Hamburg, from 300 to 400 people gather on this day. It is the biggest gathering day for us. Is there a difference between people who left Lithuania because of economic reasons and those who left because of tolerance issues? I left Lithuania in 1992 and I can say that Lithuania was a different country then. Now, Lithuania is a member of the EU and NATO. It is the centre of Europe, a European country with a magnificent capital city, Vilnius. The country is entirely different when compared to what it was 23 years ago. Nevertheless, one thing unites us all – we are all Lithuanians and Lithuania is dear to us. I would also like to mention those expatriates who left the country after the war. It’s a different generation. A big thanks to them for still living in Germany, Canada and the USA and passing on traditions to the newcomers. If it weren’t for them, Lithuanians abroad would be different. Let me put a question from another angle. How do our expatriates integrate themselves into foreign communities? Only those Lithuanians who have integrated themselves abroad can help Lithuania most effectively. This means that Lithuanians must become proper citizens in the countries they live in. Since we have been a European nation for a long time, I can safely say that Lithuanians integrate themselves very well in those countries. Since we adapt and integrate ourselves so easily, there is the question of dual citizenship. In another interview, you mentioned that at the moment, dual citizenship and preservation of Lithuanian citizenship should be differentiated. What did you mean? Yes, my opinion still stands, but we can still talk about it. When talking about preservation of Lithuanian citizenship, I count the generations of Lithuanians who have left the country since 1990. There are three generations. If parents left and they had children abroad, theoretically, the children would now be 23-24 years old. They would be the second generation. The third generation would be, in theory, the children of the second generation. These are the three generations of Lithuanians who live abroad. I don’t think that we should cut off these three branches when our country has a population of less than three million people. We should solve the question of preserving Lithuanian citizenship for these three generations as soon as possible. I would use the term of dual citizenship in a broader sense. In the years of 2003, 2006 and 2009, the Constitutional Court explained that the question should be resolved through a referendum, in compliance with the Constitution of Lithuania. If there isn’t another way, we would agree to a referendum, although everything would depend on the formulation. Maybe you would be able to actively participate in defining the question? In a meeting with the Seimas [parliament], the World Lithuanian Community dedicated two resolutions out of 12 for the preservation of Lithuanian citizenship and the question of dual citizenship. If the question is to be resolved through a referendum, it can only happen if three conditions were met. The first would be to introduce online voting as soon as possible. That was one of my questions, and you answered it. Does this mean that you are in favour of online voting? Yes. The second condition is for the parties to agree among themselves. At the moment, they are divided when it comes to the question of dual citizenship. The parties must come to an agreement within Lithuania, and only with everybody’s help in making the upcoming referendum known abroad, would we help make it happen. We think that if this referendum were called now or in 2016, it would simply fail. The third condition is to simplify laws regulating referenda. You mean the referendum law? Yes. These would be our three conditions. Has anyone from official authority institutions commented on these conditions? I will have numerous meetings with all institutions in the future. I’m very happy that everybody wants to meet. Our resolutions will be presented, and I hope that we will be able to solve pressing questions together, with respect and friendliness to each other. Political parties have signed an agreement to cut down emigration flow, and most importantly, a special programme will be created to accomplish this. The current government only have one more year of term left. Do you believe they will manage to draft such a programme? I think that we all should work towards making life in Lithuania better. Help people raise their children in peace, create families and have work that would provide them with a decent living. This is our single common goal. If golden programmes that could help achieve that existed, that would be great. The important thing is that they don’t cost too much. So from your perspective, are our parties able to create these golden programmes? I would like to abstain from comments, but every initiative is welcome. The fewer Lithuanians live in foreign countries, the more of them live in Lithuania. This means lesser challenges for the World Lithuanian Community.